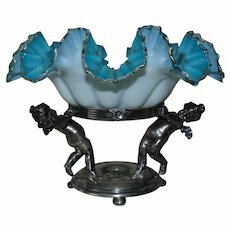 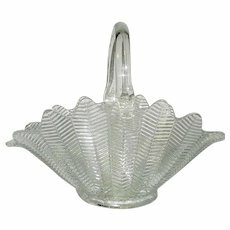 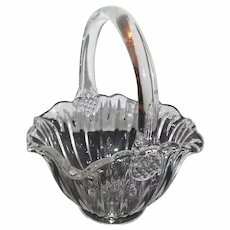 Brides Basket/Centerpiece: Gorgeous Antique Opalescent Mt. 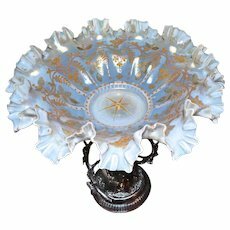 Washington/Webb Brides Basket with Orange Enamel and Gold Flowers Sitting in Meriden Silver Plate Brides Basket/Centerpiece with Incredible Flowered Branches and Bird in Nest. 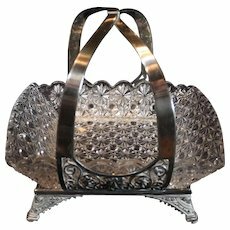 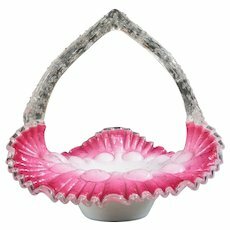 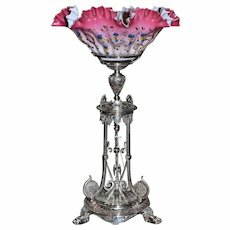 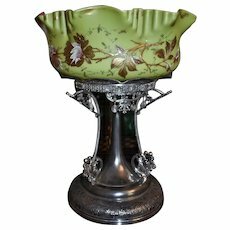 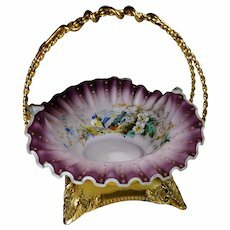 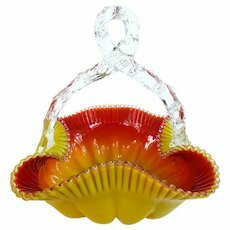 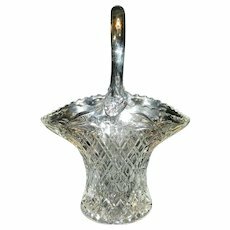 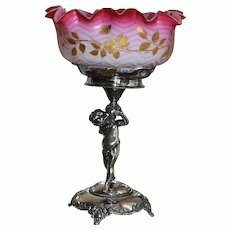 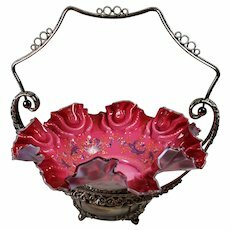 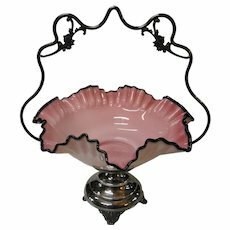 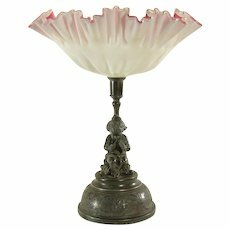 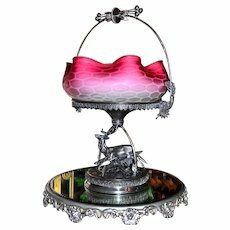 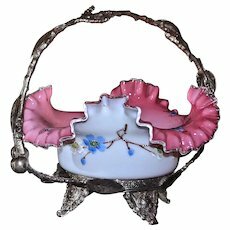 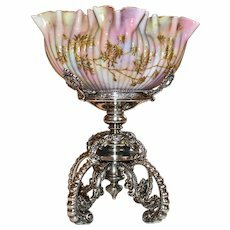 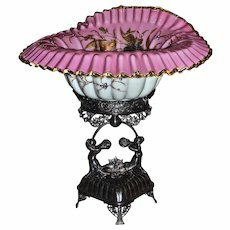 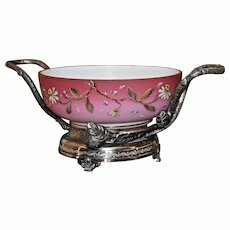 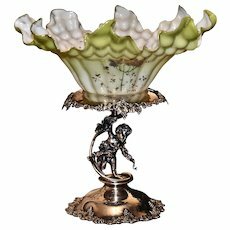 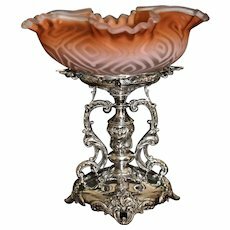 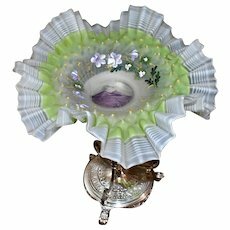 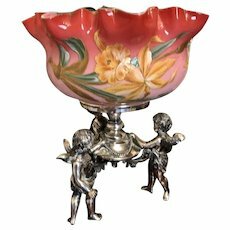 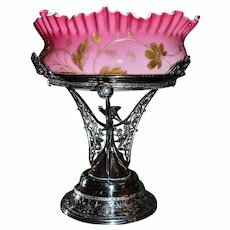 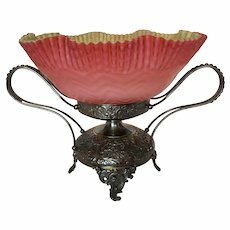 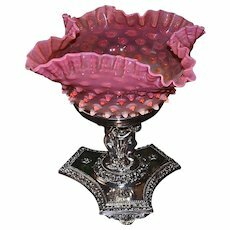 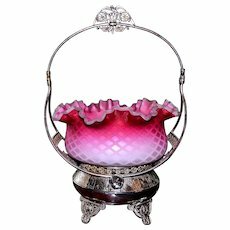 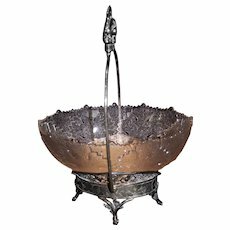 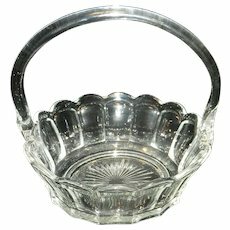 Brides Basket: Magnificent English 1860's Victorian Arabesque Decorated Silver Plated Brides Basket/Centerpiece with Gorgeous Brides Bowl Fading From Dark Coral to Pale Pink and Adorned All Over with Enameled Flowers and Gold Detailing.